We are living in a cyber world and almost everything is computerized. And hence there are some myths also in the cyber world. Here reveals some of them. Is Auto Run a Virus program? A majority of techies believes that, the file "autorun. inf" is a virus program. We might have experiences like when we insert a CD or pen drive, someone might say, delete that "autorun.inf" and it's a harmful virus for your PC. 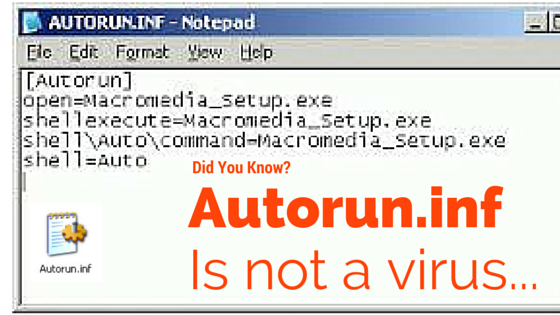 Guys, "autorun.inf is not a Virus program". Did you notice when inserting a Disk or pendrive, some files (executable or non executable) open automatically? "autorun.inf" is the file/program which plays behind this. The file name which needs to be executed or open automatically is written in the autorun.inf file. However, Some virus programs may write their names in this file and which causes automatic execution of Virus programs whenever you connect the media device. This may happen if you connect your media into a virus infected PC. So there is no problem for opening this file and checking which files have the permission to execute automatically. The majority of software installation CDs and pen drives used "autorun. inf" file for running their .exe file automatically. Is multi OS makes PC Slower? Another most common myth is, Having two or more Operating Systems in a computer will makes the system slower and this is not true. You could have as much as the OS on your PC and it will not cause your PC performance. People may think, if there is two or more OS, RAM (Random Access Memory) may be shared shared for both OS. One Operating System is allowed at a time and hence PC performance, or RAM allocation will not be shared with other OS. You could install as much OS you need (with a consideration of Hard Disk space). 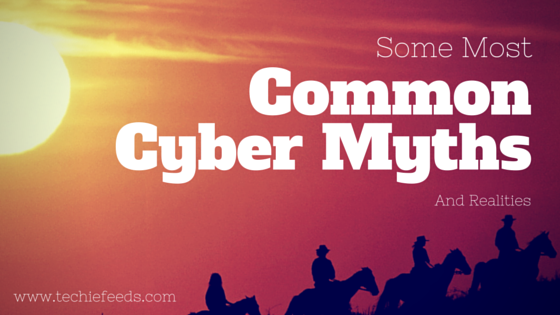 Did you know about any other cyber myths? Do comment it below.